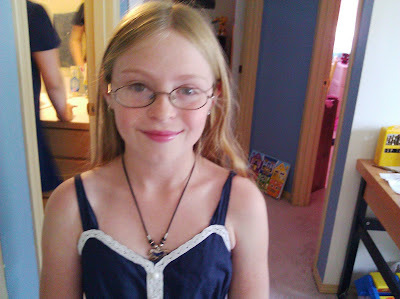 So yesterday was my daughter Camryn's 11th birthday. If you saw my Rockin' the Baby post yesterday, or you're a friend or family member, you already know this. There was much talk about the significance of her 11th birth date being 7-11-11. My Grama pointed out that 7+1+1+1+1 = 11 and that "these #s are spiritually powerful and protective". My mother says that the year you turn the age of the date of your birth is your Golden Year. Cami turned 11 on the 11th, so this is hers. 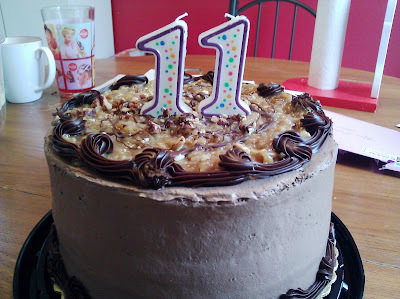 But then my mom went further, saying it's her Triple Golden Year because of all the elevens. So I guess this should be the absolute BEST year of her life! My dad says he remembers 11 being a pretty good year for him. 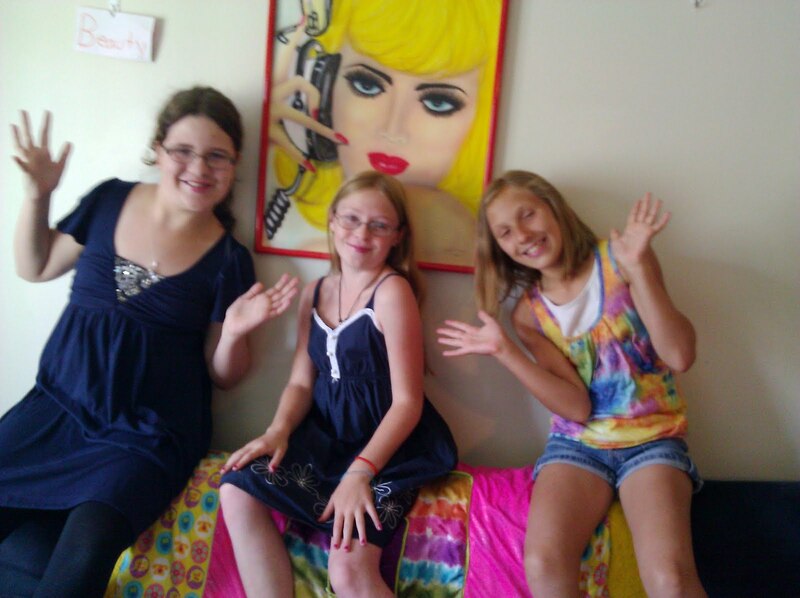 Camryn opted for a 2nd annual slumber party to celebrate. It's difficult having a summer birthday because people are all over the place during the summer. But she had 3 girls able to come and that's just fine with me. It was the same last year. To be perfectly honest, she had 3 girlfriends.......and her little brother. AJ cannot leave his big sister alone lately. It's kind of driving me nuts, so I can only imagine how much it's bugging Cami. But for the most part, she doesn't mind, which I love. We let her have cake for dinner! 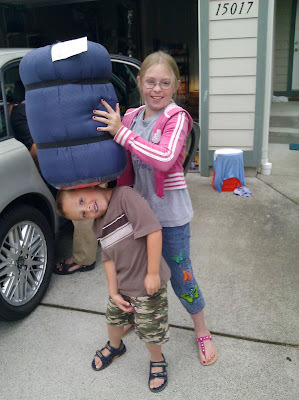 New sleeping bag for summer camp! Remember how I said Cami is mostly OK with her little brother?